Sami Khuri has been a professor in the San Jose State University Department of Computer Science since 1992. His research interests include bioinformatics, visualization and genetic algorithms. He has authored or co-authored numerous publications, has served as a reviewer for major industry journals, and has presented at many international conferences. He received his B.S. in Mathematics from the American University of Beirut, Lebanon; M.S. in Pure Mathematics, M.S. in Computer Science, and holds a doctorate in Computer Science from Syracuse University. Sheldon Mullins has experience with the development of drugs and biologics in multiple therapeutic areas including oncology, cardiovascular, anti-infective, immune response and gastrointestinal disease. Drug development experience includes clinical, nonclinical and manufacturing aspects, with 10 years research experience and 15 years in regulatory affairs, spanning pre-IND through license application approval, and he has led meetings with U.S. and E.U. 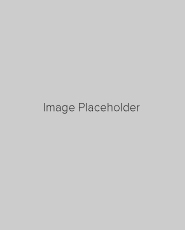 regulatory authorities. He received a B.A in Chemistry from Sonoma State University and M.S.B.A. from San Francisco State University. Dr. Sulekha Anand's area of expertise includes experimental design, statistical and biostatistical analysis, neuroscience, scientific writing, and academic assessment. She teaches both undergraduate and graduate courses at San Jose State University and serves as a research and statistical consultant for faculty and their graduate students. Dr. Anand has conducted laboratory research on primate visual-vestibular physiology at NASA-Ames Research Center, and on the neurophysiology of human eye movements and vision at both University of California, Santa Cruz and SJSU. She ran experiments on human visuomotor physiology and visual neuroscience during her postdoctoral research fellowship in the Department of Neurology and Neurological Sciences at Stanford University School of Medicine and the California Institute for Medical Research. Following the fellowship Dr. Anand was a research scientist at a biomedical company, and then started teaching at SJSU in 1997. Rick Steingart is a lecturer in accounting in the San Jose State University School of Business. He teaches undergraduate managerial accounting and also teaches financial and managerial accounting in the graduate business program, the biotech program, and the MPDM program. Rick has an undergraduate degree in electrical engineering from the City College of New York and an MBA from the University of California Berkeley. Rick’s work experience includes working as an engineer for the Hughes Aircraft Company in southern California and Europe; as an auditor for Deloitte and Touche (when it was Touche Ross & Co.) in the Bay Area; and also for over 20 years as an accountant, accounting manager and project manager at the Hewlett Packard Company in the Bay Area and in Europe. 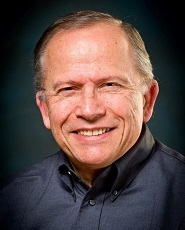 Rick has taught at Golden Gate University and the University of Santa Clara. Since 2006, Rick has taught at SJSU in addition to doing independent contracting and consulting. Mike is the Director of Integrated Talent Management at Applied Materials. 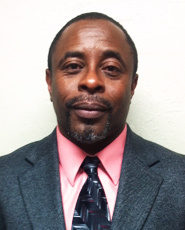 He has 30+ years of experience in Human Resources and talent development. He holds a Master’s in Education, MBA and Ph.D. in Human and Organization Development. He is currently focused on executive assessment and leadership development. He has also held the position of Board President for a non-profit focused on grade school students keeping up with their classmates. He has consulted with a wide variety of organizations helping them to build leadership teams, set strategies and solve organization issues including organizational design. He has traveled extensively in Europe and Asia and lived abroad in Germany while building a new factory. 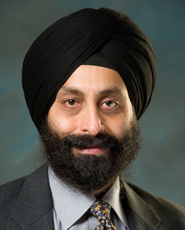 Arvinder P. S. Loomba received his doctorate in Operations Management, and also holds an MBA and a B.E. in Mechanical Engineering. In addition he holds a Project Management Professional (PMP) certification from PMI. He has extensive teaching experience in the area of Managing Medical Product Development, Project Management, Operations Management, Managing Product Development, Global Business, Supply Chain Management, Service Operations Management, and Sustainable Supply Chains. He currently serves on the University Sustainability Board at SJSU. 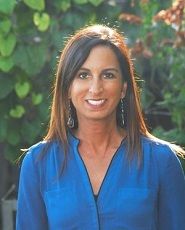 Dr.Loomba's services include being the Director of the Pacific Rim Institute, reviewer for a Fulbright Program, judge for the U.S. Department of State Case Study Competition, advisor at an industry incubator for Silicon Valley entrepreneurs, Global Studies Fellow at SJSU, and research associate at MTI. He has also served as Education Vice President and board member-at-large of CSCMP-San Francisco Roundtable. Sowmya Arunkumar teaches the Device and In-Vitro Diagnostics Regulatory Affairs class at San Jose State University. She has held various roles over the past 20 years in the medical device and diagnostics industry, in Quality, Quality Engineering and Regulatory Affairs. She is responsible for the management and the development of global regulatory strategies for IVD products, including nucleic acid test reagents, instrumentation, and software for infectious disease applications. Sowmya also brings experience in preparation of U.S. 510(k) submissions and international registrations including CE Mark (Annex II and III) Applications and Technical File preparation, LATAM and Asia Pacific region registrations including Japan, China, South Korea, Device Listings, Design Control, FDA GMP inspections and Notified Body audits and negotiations with FDA and international reviewers. In addition to her regulatory affairs expertise, she also manages multiple quality system programs. 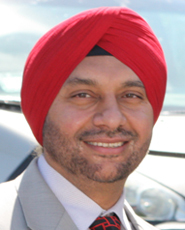 Dr. Taranjit S. Samra has 17 years of industrial experience, mostly in the medical device and biotechnology industries. 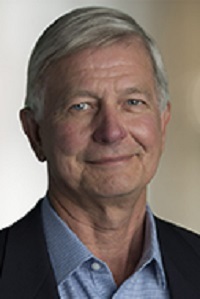 He has worked with an array of medical devices ranging from capital equipment, radiation therapy systems, surgical devices, imaging and treatment planning software, CT scanners, diagnostic instruments, IVDs to embedded and stand-alone software systems. His work encompassed various product lifecycle phases such as research, design engineering, software development and quality, manufacturing, as well as quality assurance and regulatory affairs. Currently, Dr. Samra holds the position of Director of Quality at Illumina, a leading biotechnology firm that manufactures DNA sequencing instruments. 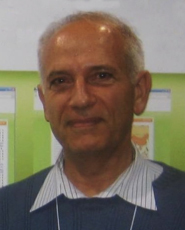 Dr. Samra graduated with a Master of Science in Electrical Engineering from Simon Fraser University (Canada), and Doctor of Regulatory Science from the University of Southern California. His doctoral research included development of a product lifecycle framework for high-risk medical devices containing software, through the integration of customized software development methodologies, tools, and risk management best practices. He also holds RAC from RAPS.